Synology DiskStation DS218+ is a product that should be considered as an essential for small and medium scale businesses that are committed to having a revolutionary way to manage data within an organization. It makes it possible to have the data centralized, provide protection to the critical asset, and share files across a variety of users. This product is promising in terms of the business solutions that it can offer to any enterprise. This should be considered as a valuable investment for the company it should not be seen as an expense that will not yield rewards, specifically by increasing the efficiency of organizational operations. Some benefits have been noted by many who have used this unit in the past. If there is one thing that has been commonly expressed by these people, it would be the fact that it is highly effective and promising in terms of file storage and sharing solution that can ease the operations of the company in ways more than one. Speed and efficiency are also two of the most important benefits that can be derived from this model. 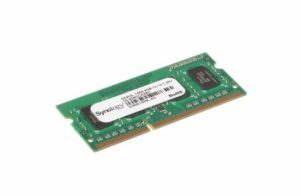 It is known for its dual-core performance that makes it excellent with regards to speed. Besides, it also has the Smart Energy Management feature, which is the one responsible for making sure that it does not use too much energy as it functions. It runs the DiskStation Manager, which is the one responsible for increasing its applications for both homes and business establishments. Some of the functions that it serves include file sharing, creating a backup, multimedia entertainment, and media support, among others. All of these functions can be enjoyed by the user in a manner that is intuitive. These applications can be customized based on the needs of its users. There are different reasons on why this is a preferred model above others that are available in the marketplace. One of the things that people liked about this storage system is that it is a breeze to install. This is true both in the case of both hardware and software setup, which will not require the user to sweat. Comprehensive instructions are provided, which will make it impossible to miss on a single step. Additionally, it is also important to note that it is preferred by many people because of the regular software updates. Such is the reason why there is no need to buy a new one even for a long time since any improvements in its operating system can be made possible with just one click. In the reviews of this product, words of satisfaction were also expressed with its 92×92 mm fan and excellent cooling system that are primary reasons for its energy efficiency. It also has a noise dampening technology that is contributory in making sure that it does not produce an annoying noise as it functions. On the other hand, while there are many good points about this product, it is undeniable that there are also weaknesses noted by some people. Some people have noted that while setup is easy, it is easy as well to get messed up. If you commit a mistake in its installation, it will likely get you into trouble. However, this problem can be avoided if you make sure that you carefully follow every step that is included in its manual. 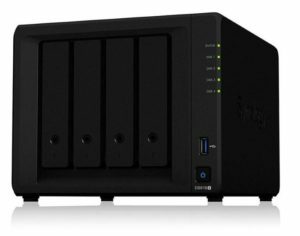 If you are looking for a two disk NAS, you should also check out our Synology DS218j review. I am working on a comparison of these NAS models. Stay tuned!